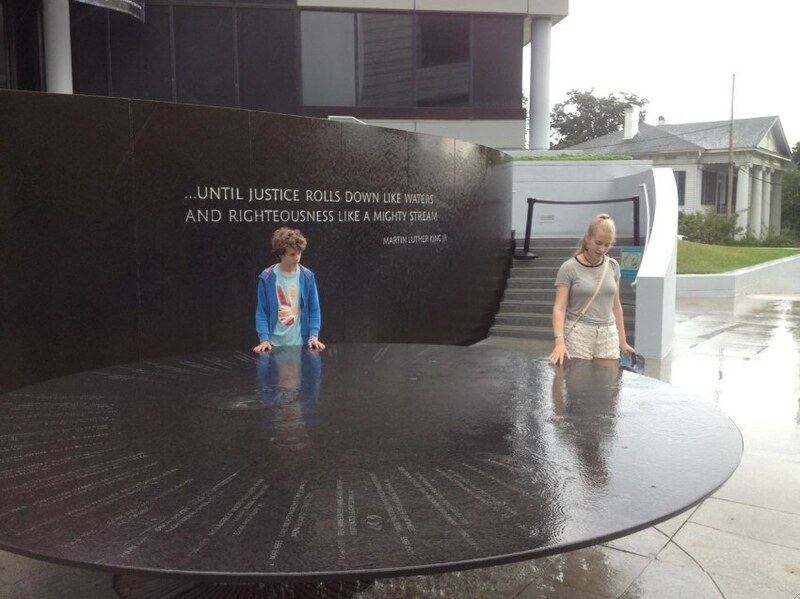 On our way back south towards New Orleans, we drove through Alabama and stayed in Montgomery, the home of Martin Luther King Jr. and the birthplace of the Civil Rights Movement in the 50s. What we found fascinating was that Montgomery was the scene of a perfect set of circumstances that allowed the Civil Rights Movement to take hold: extreme injustice, Jo Ann Robinson’s activist call for a boycott of the buses, and the presence of Martin Luther King Jr.
Segregation laws meant that –in addition to the obvious prejudices in work and social status – blacks couldn’t sit in the whites-only section of a bus. And if the white section of a bus was full, a black person had to give up his or her seat to allow the white person to sit down. To add to the humiliation, blacks had to pay the driver at the front of the bus, but couldn’t walk through the white section. Instead, they had to get off the bus after paying and enter by the back door. It wasn’t uncommon for the bus driver to leave without allowing time for them to re-enter, despite the fact that they’d already paid their fare. Once on the bus, they were frequently asked to move. The black community found bus segregation one of the most humiliating aspects of day-to-day life. On four separate occasions during 1955, four black women were arrested for refusing to give up their seats for white people, but on Thursday December 1st of that year, Rosa Parks famously refused. She was arrested and her trial set for the following Monday, December 5th. Jo Ann Robinson, a black college teacher, heard of Rosa’s arrest and decided that enough was enough. She spent the night printing leaflets that called for a boycott of the buses on Monday, the day of Rosa’s trial, and distributed the leaflets to the 55,000 people in Montgomery’s black communities. Pastors encouraged the boycott, suggesting that for its duration, people should forgo work or school, if necessary. They weren’t expecting it to last more than a few days. On that Monday, and for the following 13 months, the buses were empty. The gathering outside Martin Luther King’s house after it was bombed. Pastors continued to encourage the black community to boycott the buses, and one charismatic pastor’s voice stood out: Martin Luther King Jr. King was warned that his house was going to be bombed and that he would be run out of town, in an attempt to stop the boycott by taking out its leader, but he refused to bow down. Three days later, when his house was bombed, a crowd of people gathered in his back yard. The 89 protest leaders in their Sunday Best. This was the photo that triggered global donations. The city of Montgomery then decided to issue arrest warrants for 89 protest leaders. They hoped to terrify the citizens into giving up the boycott, but, again, the plan backfired. 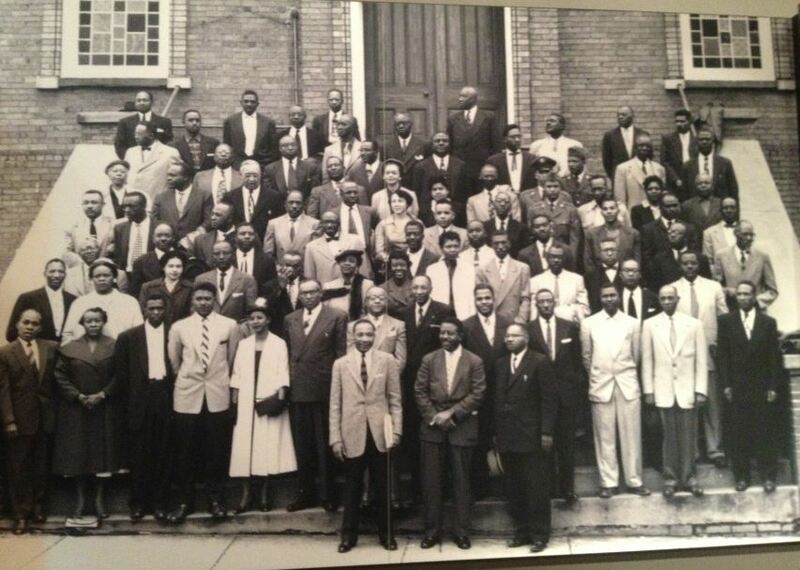 Those 89 leaders dressed up in their Sunday best (a sign that they weren’t afraid) and posed for a photo. The photo was used in the media and travelled around the world, generating global support and donations. The donations were most welcome, because people needed a way to get to work. If they started to ride the buses again, they would lose their leverage. The bus companies were losing $3,000 a day (a princely sum in the 50s), raising their prices for whites to try to make up their losses, and losing even more passengers. Donations from elsewhere in the world were used to buy cars to transport black workers. The city of Montgomery was prepared to play dirty to stop the boycott, so declared the cars to be illegal because they didn’t have taxi licenses. Licenses couldn’t be awarded without insurance. No American company would provide the insurance, but Lloyds of London did, only to discover that Montgomery wouldn’t award the taxi licenses anyway. A model of a rolling church, with its church branding. 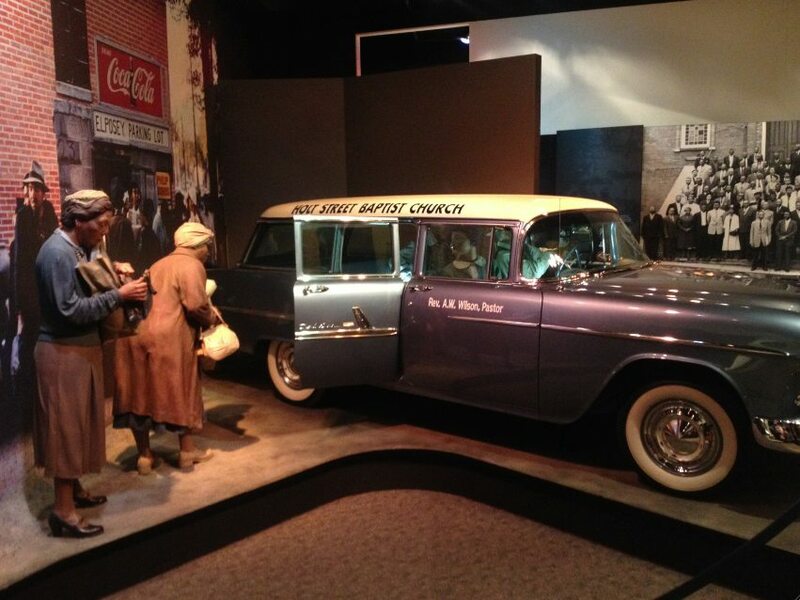 The church (led by Martin Luther King), still leading the boycott, came up with a way to use the cars. They branded each of them with a different church’s name, and declared them to be “rolling churches”, and, as such, exempt from the need for taxi licenses. Meanwhile, a lawsuit was brought against Gayle, the mayor of Montgomery, in the name of the four women who had been arrested earlier in 1955 (abbreviated to the first, alphabetically): Browder vs. Gayle. Montgomery police watched every move made by the rolling churches, looking for the tiniest excuse to close them down. Eventually, after 13 months, the US Supreme Court considered the case and declared segregation to be unconstitutional. The ruling came just in time, because on the same day, an injunction was issued against the church cars. Had the injunction come before the result of the court case, the black community wouldn’t have been able to get to work and may have had to use the buses again. 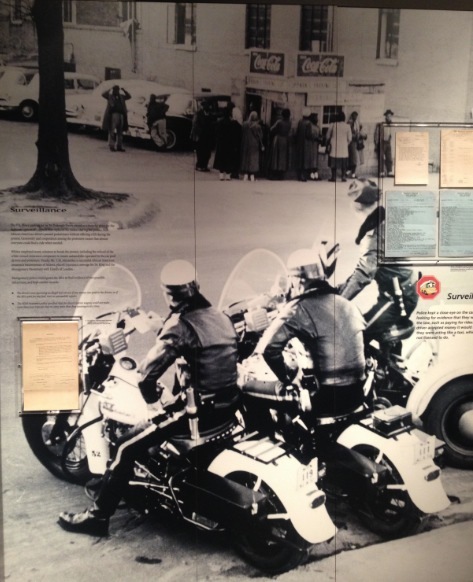 As it was, the desegregation of the buses in Montgomery started a chain reaction across the country, and the birth of the Civil Rights Movement. 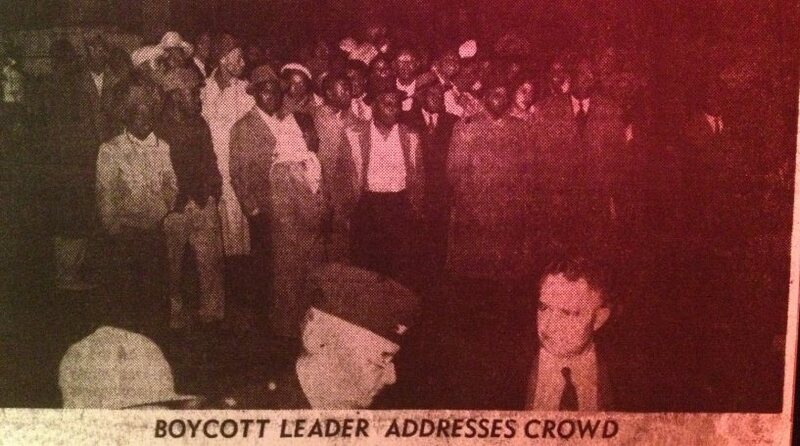 The second is that at the beginning of the boycott, blacks weren’t asking for segregation to end. They merely wanted fair treatment. That changed once the lawsuit against the mayor was filed, but originally they’d asked only to be treated with respect, to have first-come-first-served seating, and for the bus company to hire some black drivers. Had Montgomery and the bus companies agreed to these modest demands, the Civil Rights Movement may not have been born. But perhaps the craziest aspect of the story is that, even after 13 months of boycotting and the birth of the Civil Rights Movement, the only thing that Montgomery conceded was that there would no longer be segregation on the buses. Yet there was still segregation while waiting at the bus stops! Brilliant. Thanks so much for this concise history lesson. It’s really useful for this Brit. I’ve learnt more since, that all Americans seem to know. For example, blacks were considered to be 3/5 of a person in any count (such as state taxation). But we know about the Tudors.